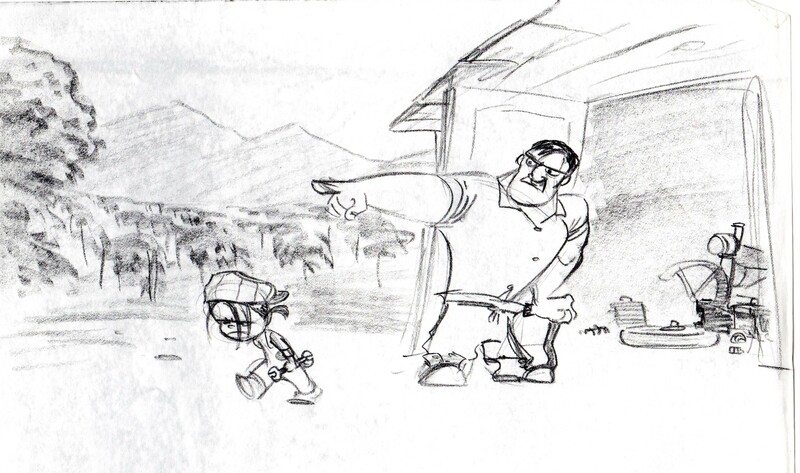 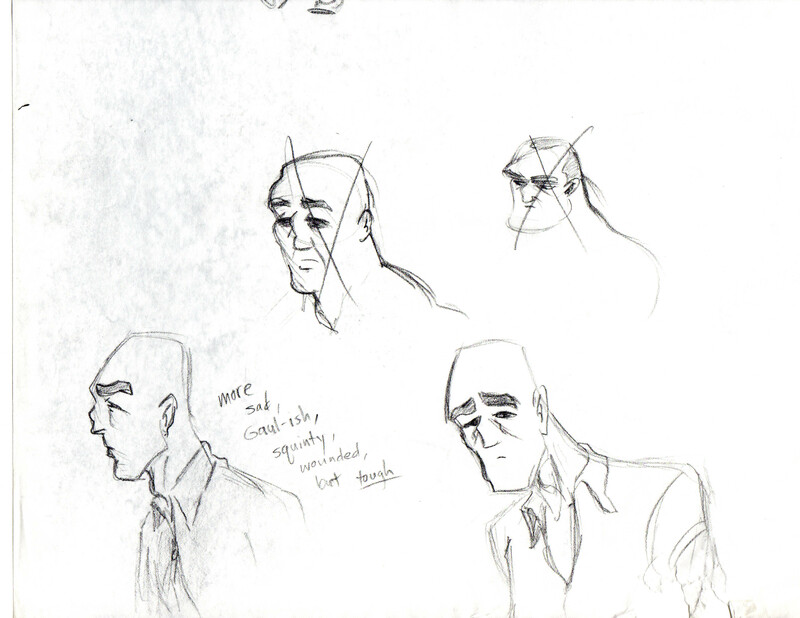 I finally digitized some of the earliest exploratory sketches I did for this story, which I can now share with you. 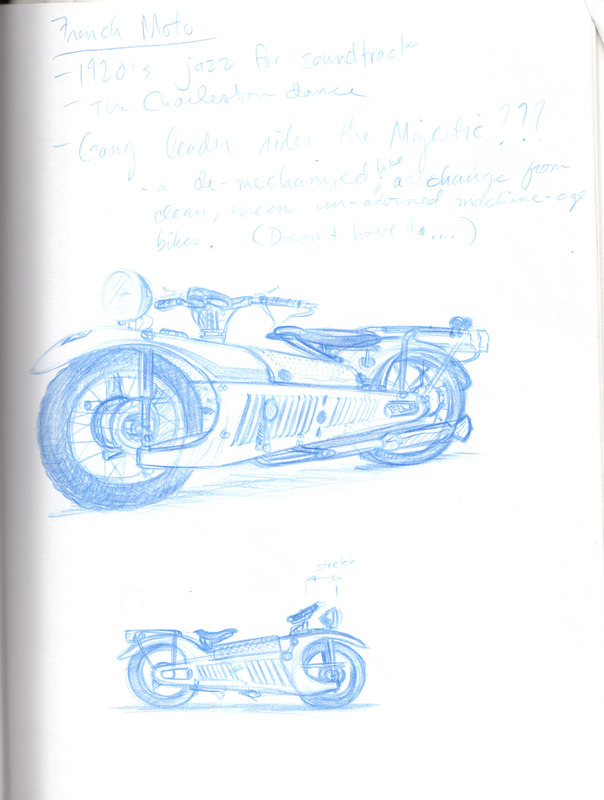 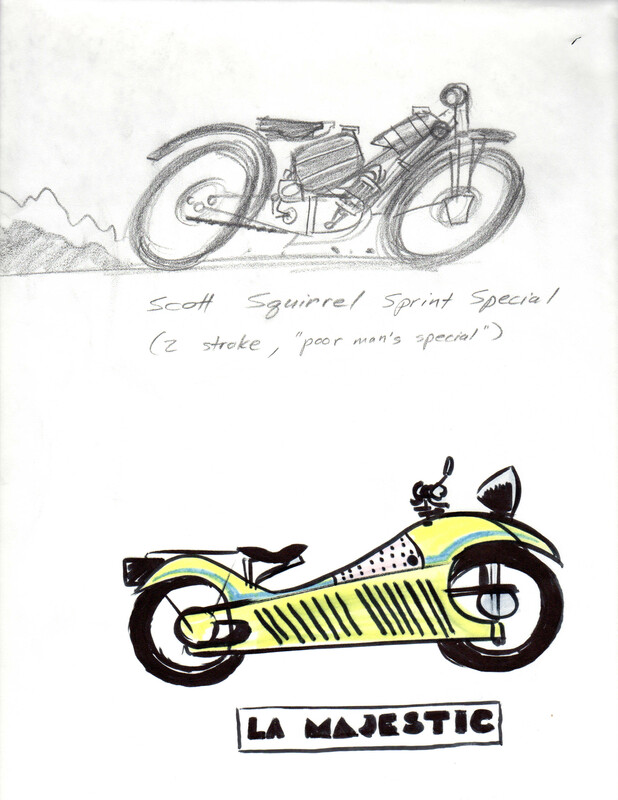 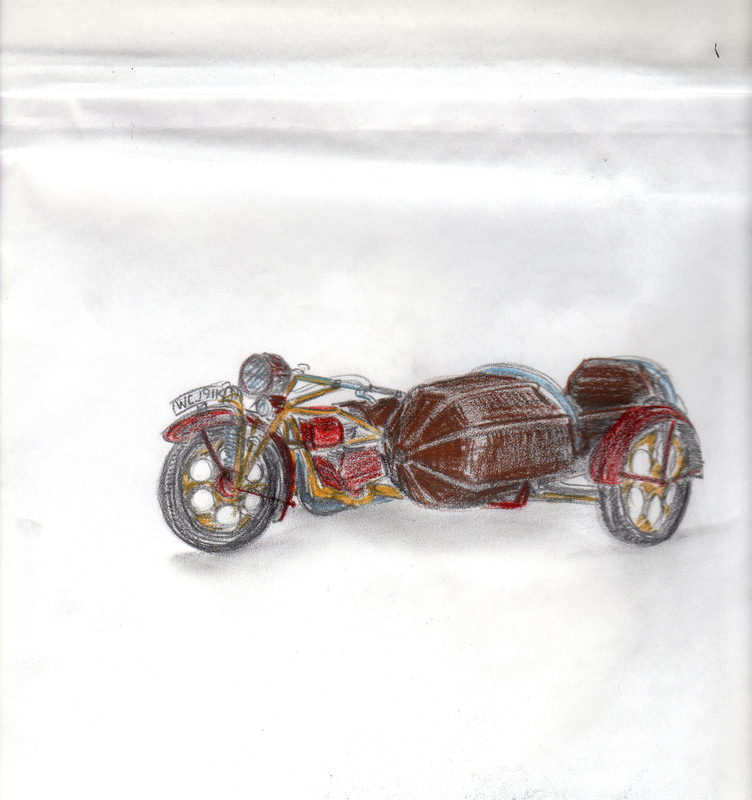 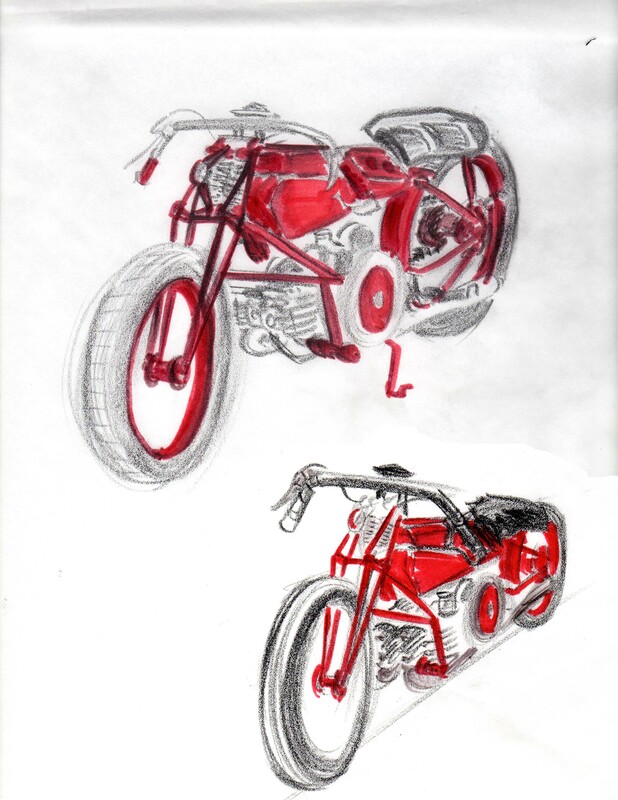 I sketched some of my favorite early motorcycles from the Guggenheim exhibit “Art of the Motorcyle,” mainly to figure out how to draw them. 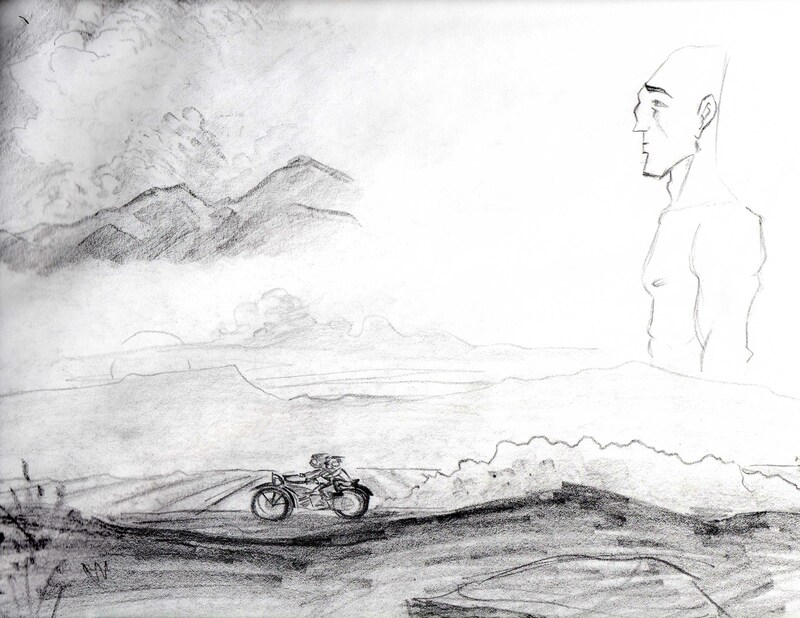 You can see I then experimented with a stripped down, stylized version of the Majestic.